When inspecting education in independent schools, we recommend when inspection should take place but inspect at the request of the DfE. By sharing your views, you’ll be helping your child’s school to improve. You will also be able to see what other parents have said about your child's school. Please use the picture link below to go to the Parent View website and use the 'give your views link' . Please use the picture link to the left to go to the Parent View website.. 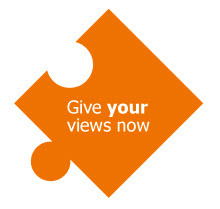 The 'give your views now' picture link on the right can be used for direct access to the Ofsted survey. For your convenience, both links open up a new window.